Patients with A-Fib and Kidney Disease: Should You be on Blood Thinners? If you have Atrial Fibrillation and also suffer from Chronic Kidney Disease (CKG), beware! Being on an anticoagulant may make you more prone to stroke. That’s according to UK researchers. In a newly published retrospective study from England (The United Kingdom), 7,000 patients over age 65 with chronic kidney disease who later developed A-Fib had more strokes (and hemorrhage bleeding) than those not taking anticoagulants. Anticoagulant may make you more prone to stroke. In fact, patients taking anticoagulants were 2.6 times as likely to have a stroke (and 2.4 times as likely to have major hemorrhagic bleeding). Reduced kidney function or chronic kidney disease is very common in older people. Chronic kidney disease (CKD) and Atrial Fibrillation (A-Fib) often co-exist. 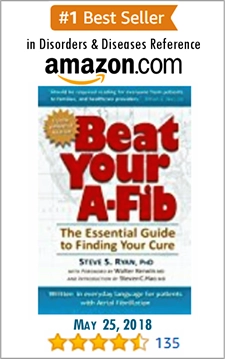 A-Fib can promote or accelerate the progression of chronic kidney disease. 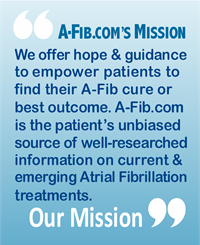 Worldwide, it’s estimated that 15–20% of patients with chronic kidney disease (CKD) also have Atrial Fibrillation. 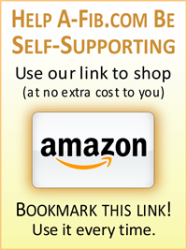 “As we found in this particular group, their medication (anticoagulant) seems to do the opposite of its intended effect. How to measure if your kidneys are working? A Glomerular Filtration Rate [GFR) of 60 or higher is normal, while a GFR below 60 may mean kidney disease. This study only dealt with Chronic Kidney Disease (CKD). But common sense dictates that the findings of this study may also affect anyone with reduced kidney function. In the early stages of Chronic Kidney Disease, there may be few signs or symptoms. CKD may not become apparent until kidney function is significantly impaired. 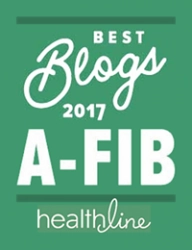 From this study, we can say it’s imperative that anyone with A-Fib especially older people, should be checked for reduced or chronic kidney disease before being put on anticoagulants. This study points out the difficulty for A-Fib patients taking anticoagulants who also have chronic kidney disease: The anticoagulants meant to prevent stroke actually increase stroke risk and hemorrhage bleeding. 2. 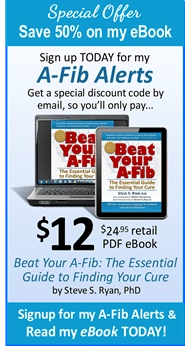 Free yourself from A-Fib. Consider a catheter ablation procedure (or mini-maze surgery). 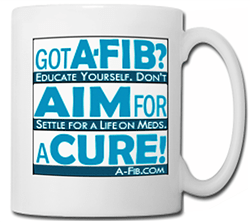 Reasoning: if you no longer have A-Fib, you can’t have an ‘A-Fib-related’ stroke. For A-Fib patients who also have chronic kidney disease, being on an anticoagulant may make you more prone to stroke, not less. Accordingly, if you have A-Fib and are taking anticoagulants, ask your doctor if you have been checked for ‘reduced kidney function’. And if in the future, you develop reduced kidney function, discuss these research findings with your doctors (print a copy of this post and include the ‘References for this Article’ below). Paradox: If you have kidney disease, the anticoagulants meant to prevent stroke actually increase stroke risk and hemorrhage bleeding. • Hart RG, et al. Stroke prevention in atrial fibrillation patients with chronic kidney disease. Can J Cardiol 2013;29: S71–78.